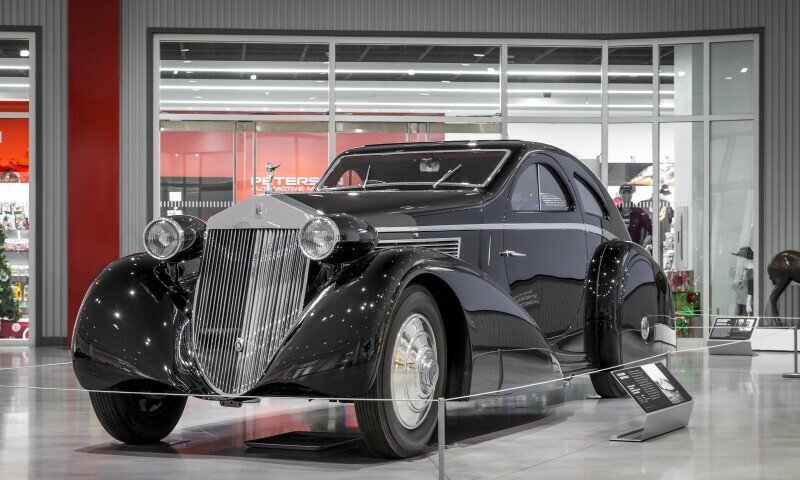 Founded in 1994 by magazine publisher Robert E. Petersen and his wife Margie, the Petersen Automotive Museum is owned and operated by the Petersen Automotive Museum Foundation and seeks to explore and present the history of the automobile. Located at the end of 'Miracle Mile' and the third-most travelled interesection in Los Angeles, the museum appropriately uses the city as a prime example of the impact of the automobile on American life and culture. The museum is housed in an historic department store building dating back to 1962, the façade of which was redesigned by the architectural firm Kohn Pedersen Fox in 2015. As a result of this $90 million renovation the interior of the original Welton Becket-designed building now features 25 rotating exhibitions with more than 150 vehicles on view.